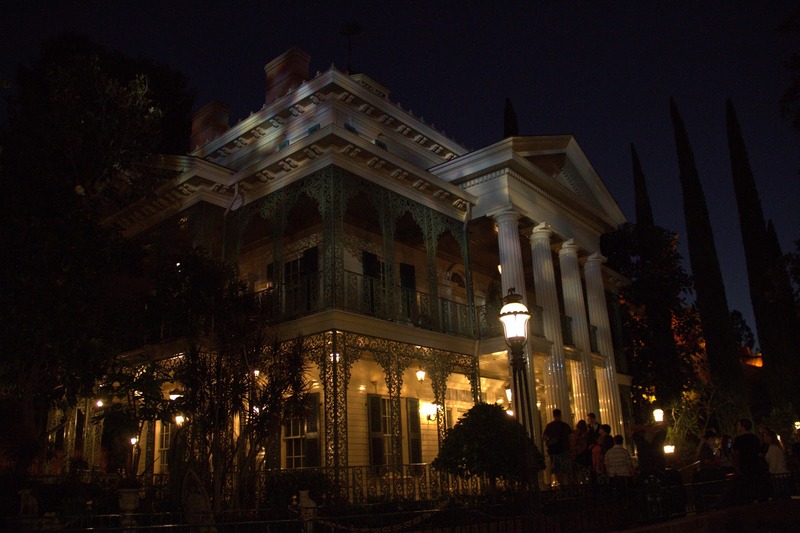 Since this October I thought I would post a picture of one of my most favorite haunted houses. This one happens to be in Disneyland and is not as good as the one in the Magic Kingdom because the outside queue area isn't as entertaining, but the inside is the same and I have always loved it. We were in the park after dark and the line was rather short so we were about to go ride the Haunted Mansion when we noticed that there were a lot of people approaching the door then turning back, although there was also a fair amount still standing in line as well. We found out that the ride was down and wasn't expected to be back up for another 45 minutes so we turned back as well. But before leaving I took this one shot of the mansion to remember it by. Somehow it is my favorite. I have done no retouching at all. this is all the color that they had on it at that moment.